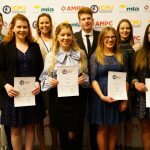 Australian Intercollegiate Meat Judging Association (ICMJ) | 2018 ICMJ Wagga Results- Colorado State University takes Top Honours! 2018 ICMJ Wagga Results- Colorado State University takes Top Honours! 11 Jul 2018 ICMJ Wagga Results- Colorado State University takes Top Honours! CSU Wagga Wagga and Teys Australia hosted the annual competition last week featuring 11 Australian Universities, and four international teams. 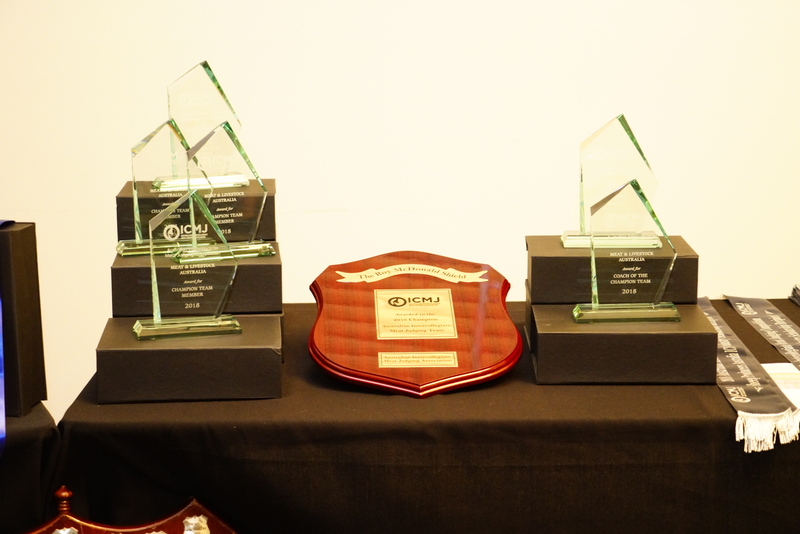 Colorado State University has claimed top honours at the Intercollegiate Meat Judging (ICMJ) competition for the first time in the program’s 29-year-history. 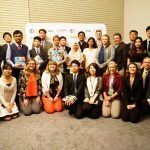 Overall the week-long competition which kicked off on Tuesday July 3, and finished up with an awards dinner on Saturday July 8, attracted 130 students and 35 coaches from across Australia, Japan, Bogor, America and Korea. 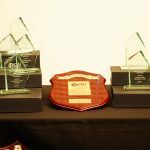 The University of Sydney took out Runner Up in the Team Awards, trailing category winners, the Colorado State University of Sydney, by just 85 points. Colorado State put in a standout effort to take out the Roy McDonald Shield for champion overall team, with their own Brett Meisinger also claiming the Founders Buckle for champion individual. Overall runner-up and multiple award-winning University of Sydney student Jack Cook placed just 17 points behind the winner, making one of the closest contests to date. ICMJ President Dr Peter McGilchrist said the US team’s achievement was testament to their dedication to learning about Australian red meat production. He was also very pleased with how close the competition was, with many of the placings requiring a “count back” to determine the winner. “Our program has absolutely achieved our goal of inspiring and developing future leaders of the global red meat industry,” he said. Dr McGilchrist also mentioned the success of ICMJ would not occur without the continued support of our major sponsors, including MLA, AMPC, APL, Teys Australia, NH Foods, JBS / Andrews Meats, AACo, Rivalea, GradLink and Coles. 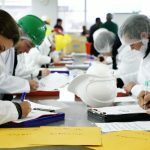 The top 10 finalists and the Coach’s pick teams will go on to participate in an industry training week with Meat and Livestock Australia staff in Brisbane in August. Student feedback from the week was that it “opened their eyes” to the possibilities within the Australian red meat industry. “We learned so much more than we could have imagined,” the group of Sydney University students said. “The networking not only among industry professionals but also peers was really beneficial. Following the industry training week in Brisbane five students from the top 10 finalists will be selected for a tour of the American meat industry in the New Year. ICMJ is headed North in 2019! Copyright 2017 Australian Intercollegiate Meat Judging Association Inc.